The United States Senate rejected additional funds for election security yesterday. Their rejection follows mounting evidence of what Russia did in 2016 and what they continue to do to this day. Report after report from our intelligence agencies, the Department of Homeland Security (DHS), and even Congress themselves layout evidence of election interference. Still, North Dakota’s Senator John Hoeven rejected the funding aimed at combating it in 2018. What does it mean to be a socialist in America, and why do people get so angry, and angrily terrified, when some Americans espouse socialism as a fairer system than the one in place? These questions have been coming up more frequently in recent years, prompted by the rhetoric and policy propositions of the recent presidential hopeful Senator Bernie Sanders and the ascendance of younger politicians, including Alexandria Ocasio-Cortez, the congressional candidate from New York who is unabashedly aligned with the Democratic Socialists of America. “I suppose ‘socialist’ was, fifty, sixty years ago, what you would term today an incurable optimist,” declares Henry Martinson, that sunniest of radicals, at the age of 97 in John Hanson and Rob Nilsson’s short portrait Survivor. Martinson certainly got called worse than “optimist” in his decades of organizing farmers and laborers on the high plains of North Dakota, a mission that started in the first years of the twentieth century, as the homesteaders’ sod shanties gave way to farmhouses, and their crops got cynically undervalued by a system of buyers who — in Martinson’s words — “wouldn’t know a goldurn plow from a corn shredder.” First as an activist for the Socialist Party in the 1900s, then in North Dakota’s more successful Nonpartisan League in the teens, Martinson fought the exploitation of local farmers by out-of-state conglomerates. If you support union values like dignity and respect on the job and a fair return on your work, join us! Training, Materials, Camaraderie, Food and Refreshments provided. Contact Andrew at abushaw@ndaflcio.org with questions. Contact Tanner at therbert@ndaflcio.org with questions. From CBPP: This Week at CBPP we focused on health, food assistance, Social Security, federal taxes, state taxes, and the economy. This week at CBPP we focused on health, food assistance, Social Security, federal taxes, state taxes, and the economy. On health, Peggy Bailey urged policymakers to embrace proposals that would maximize Medicaid’s coverage of substance use disorder services and supports and leverage grant funding for housing assistance for people transitioning out of treatment as they consider ways to address the opioid epidemic. 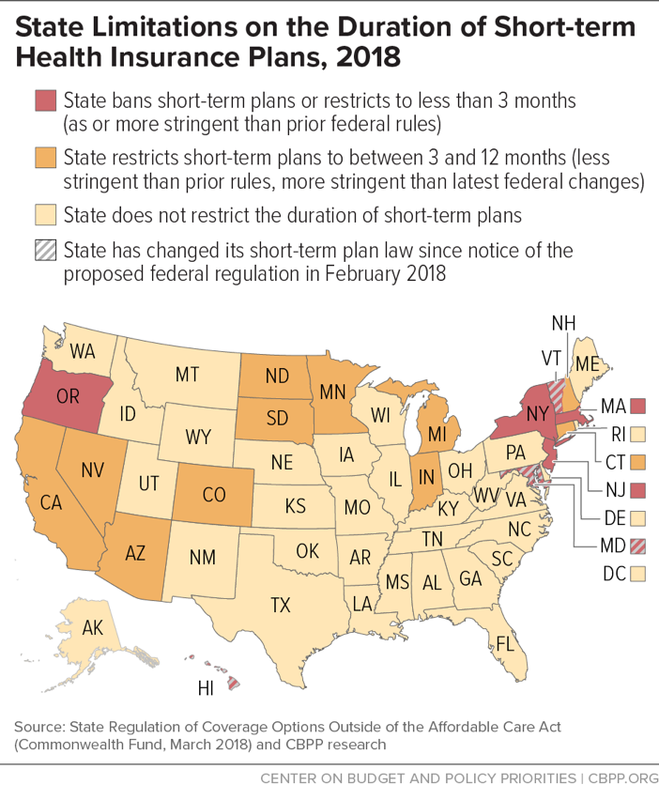 Sarah Lueck called on states to enact protections against short-term health plans. Hannah Katch wished Medicaid a happy 53rd birthday by highlighting the program’s high-quality, comprehensive, and efficient coverage. Jennifer Wagner noted that eligible Arkansas Medicaid beneficiaries struggled to meet the state’s rigid work requirements in June. We updated our Sabotage Watch tracker of efforts to undermine the Affordable Care Act. On food assistance, LaDonna Pavetti pointed to several recent studies that counter the Council of Economic Advisers’ claims that taking away people’s SNAP, Medicaid, or housing assistance if they don’t meet rigid work requirements would be a beneficial way to increase work participation. We also updated our analyses of the House and Senate versions of the farm bill. On Social Security, Kathleen Romig celebrated the birthday of Social Security Disability Insurance (SSDI), which provides modest benefits to workers who can no longer support themselves due to serious and long-lasting medical impairments. We also updated our backgrounder and chart book on SSDI. On federal taxes, Chye-Ching Huang explained that indexing capital gains for inflation would create yet another tax cut for the top 1 percent. On state taxes, we updated our fact sheet on state estate and inheritance taxes. On the economy, we updated our backgrounder on unemployment compensation and our chart book on the legacy of the Great Recession. Don’t miss any of our posts, papers, or charts – follow us on Twitter, Facebook, and Instagram. Copyright © 2018 Center on Budget and Policy Priorities, All rights reserved. You are receiving this email because you requested to receive email from the Center on Budget and Policy Priorities. WASHINGTON, D.C. – U.S. Senator Heidi Heitkamp today is leading a bipartisan effort requesting information on the Census Bureau’s plan to ensure an accurate and cost-effective 2020 Census count in tribal communities. In 2017, Census tests across Indian Country were canceled, furthering concerns that Native populations are not being prioritized in preparations for the 2020 Census—even though the unique characteristics that tribal communities present require additional planning and effort to overcome. Native Americans have been historically under-represented in Census data, which then reduces the amount of federal support that tribal communities receive. With accurate measurements, tribes will have access to the necessary federal support for housing programs, job training, social services, and many other programs they are guaranteed under law. In their letter to Commerce Secretary Wilbur Ross— the top administration official overseeing the Census Bureau, Heitkamp and U.S. Senators Lisa Murkowski (R-AK) and Amy Klobuchar (D-MN) called on the administration to recognize the realities of tribal areas and to develop a plan that will ensure Native communities are accurately measured during the 2020 Census. Click here to read the full letter. Heitkamp has long stressed the importance of the Census and tribes working together to break down barriers for people living on tribal lands in North Dakota and around the country, and to make sure Native populations are appropriately represented at all levels of government. At Heitkamp’s urging, U.S. Census Director John Thompson visited North Dakota in 2014, during which he met with Native American leaders about the importance of accurate population counts and how Census data is used to distribute federal, tribal, state, and local government funds. Thompson returned to the state in February 2016 to participate in the Tribal Consultation Meeting held at Sitting Bull College. In their letter, the senators also pointed to the Census Bureau’s move away from paper questionnaires to an internet-based data collection method. While the senators praised these efforts, they expressed concerns that this transition may leave Native communities behind, since they are often located in remote areas without reliable internet or cellular service. According to the Census Bureau’s data, only 58.2 percent of American Indians and Alaska Natives regularly use the internet. Shortly after the U.S. Census Bureau’s announcement in April 2016 that it would conduct a Census Test on the Standing Rock Reservation— one of just two tests nationwide in Indian Country in 2017 in preparation for the 2020 Census— the test was canceled, leaving a gaping hole in the federal government’s preparations to address challenges of an accurate Census count on reservations and in the region. As a leader on the U.S. Senate Homeland Security and Governmental Affairs Committee (HSGAC), which oversees the Census, Heitkamp has fought to make sure the Census works for North Dakota. In October 2017, Heitkamp pressed key federal leaders on the many challenges the 2020 Census faces, including testing and reporting in rural and tribal areas. During a HSGAC hearing, Heitkamp drew the attention of Secretary Ross, as well as leaders from the U.S. Census Bureau and U.S. Government Accountability Office, to the recently canceled Census tests in Indian Country. Heitkamp also sits on the U.S. Senate Committee on Indian Affairs, where she has fought to guarantee Indian communities have access to quality homes, schools, and health care. A national Census takes place every 10 years. The data gathered through the Census informs the levels of federal funding that North Dakota and other states receive for transportation infrastructure, education, medical assistance, and many other essential programs. According to 2014 Census data, at the height of the oil boom North Dakota was the fastest-growing state in the United States. Heitkamp has advocated that all communities are counted accurately by also drawing attention to the enormous population growth in western North Dakota.